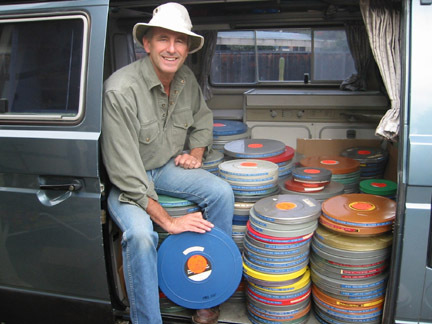 The Academic Film Archive of North America is a 501(c)(3) public benefit organization, incorporated in the State of California on March 5, 2001 for the purpose of acquiring, preserving, documenting and promoting academic film by providing an archive, resource, and forum for continuing scholarly advancement and public exhibition. No one (including Director Geoff Alexander) receives a salary, we spend no money on fundraising activities, and all of your donations contribute to activities relating to our mission. Our bylaws are available for your review. We invite you to make a tax-deductible financial donation or you may also donate by sponsoring a film for digitization and uploading so everyone can view it free. Either way, we will send you a tax confirmation letter within one week of receiving your donation. We now have archived more than 10,000 films, and due to space limitations we cannot take in more for the time being. If you'd like to donate films, we might be able to find another home for them. Please contact us. Listed below are the people and institutions who have helped us through their generous donations this year (click here to see donors of past years). Our deepest thanks to you all.